The first group of Air Europa Express cadet pilots will start their training at FTEJerez in 2019. FTEJerez has been appointed by Air Europa Express as the official flight training provider of the airline’s future pilots. With the announcement, Air Europa Express is launching its first ever mentored airline pilot training programme. Selected candidates are scheduled to commence their training at FTEJerez during 2019 and on successful completion of their ATPL course, they will transition to a first officer role with the airline. Air Europa Express is a Spanish regional carrier and a subsidiary of Globalia, which is also the owner of Air Europa. Air Europa Express launched service operations on January 2016, with a three times daily Valencia-Madrid service via Palma. 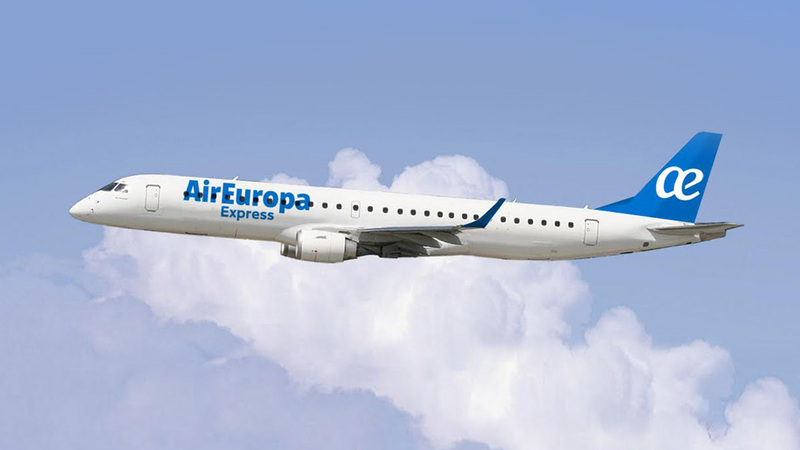 Air Europa Express currently operates a fleet of 16 aircraft, 5 ATR-72 500’s and 11 Embraer ERJ 195-LR’s. Toni Gimeno, CEO of Air Europa Express, said: “We have recently been selected as the most efficient regional airline in Europe and this recognition has only been possible because we always select the best professional for each division of the company. This is why we entrust the future of our pilots to FTEJerez, due to the excellent training they provide to every single one of their students”. To be eligible for this scheme candidates must hold secondary level qualifications (Bachillerato, A-Levels, IB and equivalents) speak Spanish at an ICAO 6 or C2 level and have at least an ICAO 4 or B2 English proficiency. Successful candidates will be joining trainee pilots from airlines such as Aer Lingus, Iberia, Thomas Cook, Vueling, BA CityFlyer and more. The scheme will be opening for application on the 4th of February. Further details and the application can be found at www.ftejerez.com/aireuropaexpress.